Beef jerky is expensive to buy. 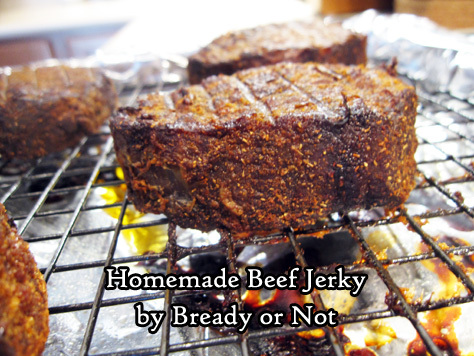 If you can catch a good sale on an eye of round roast, this recipe makes cheap and delicious Homemade Beef Jerky. It’s really amazing how easy this recipe is. Cut up roast into chunks. Cover pieces in spices. Marinate for a day in the fridge. Bake for 6 to 7 hours. Done. I’ve made this recipe a couple times now, and honestly, the weirdest thing is keeping the meat at room temperature after baking. I mean, I’m used to doing that with store-bought jerky, but it feels weird to do that with home-cooked meat. However, I haven’t sickened or killed myself or various loved one with my homemade jerky, so I take that as a positive. Most of the eye of round roasts I find on sale tend to be over 2 1/2 pounds. I just use more generous measures of spices for the rub. This isn’t a recipe where everything needs to be exact. Just make sure there’s enough rub to cover everything. Also, the amount of cayenne looks like a lot, but the heat in this recipe is pleasant, not set-your-mouth-on-fire level. I can testify that myself and others who can’t stand spicy-hot have eaten this jerky without any issues. And if you want more heat, by all means. Dump in more cayenne! Modified from Michael Symon’s Beef Jerky recipe in Food Network Magazine, December 2017. 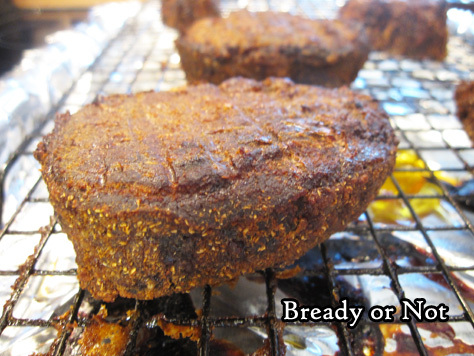 If using a larger roast, such as one closer to 3 pounds, just use heaping amounts of spices to create the rub. Note that the recipe requires a day of marinating prior to baking. 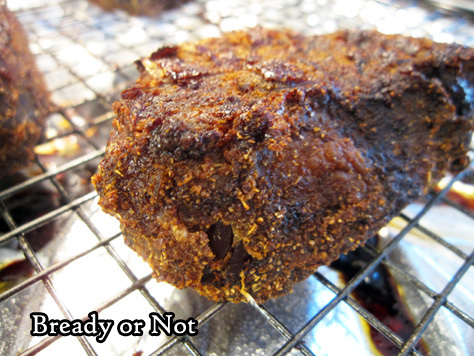 After cooking, the dried meat is stored at room temperature. Slice the beef against the grain into chunks roughly 1 inch by 3 inches long. If the pieces look large, that's fine; they'll shrink a lot as they cook. In a mixing bowl, combine all of the spices. Liberally cover the beef pieces, using the entire mix. Place beef in a gallon bag, and keep sealed in the fridge for 24 hours or so. Preheat oven at 250-degrees. 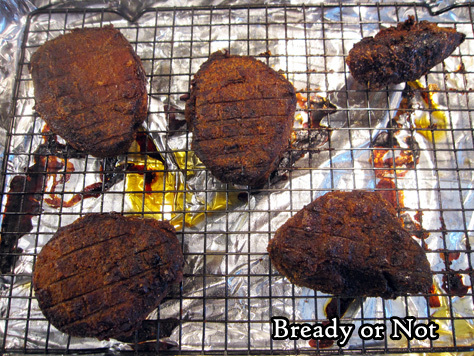 Line a baking sheet with foil and place a metal rack on top; apply nonstick spray. Set the meat on the rack so that no pieces are touching. 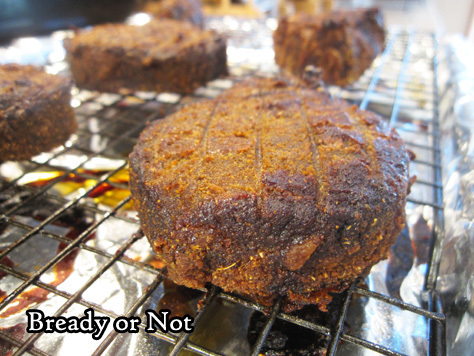 Bake for 6 to 7 hours, until quite dry. If you want pieces chewier, remove closer to 6 hour point. Let cool completely to finish drying. Store in sealed container at room temperature for up to several months.